Modular and open-source are now the watchwords for network infrastructure, whether you’re delivering internet connections or VR cat videos. On Tuesday at the Structure 2016 conference in San Francisco, Facebook announced its most powerful modular data-center switch yet, and AT&T gave an update on its huge migration from dedicated servers to a software-based architecture. Once the same kind of hardware can do different things in a network, everyone gets more freedom to accomplish what needs to get done. That’s true for Facebook, which built on its own switch innovations and software stack in the new Backpack switch, and for AT&T, which says enterprises can now order and turn on services in 90 seconds instead of 90 days. Agility is also the key selling point for cloud companies like Google, which hopes its customers can ignore hardware altogether in a few years. The Backpack is Facebook’s second-generation modular 100Gbps (bit-per-second) switch, with 12 switches inside that each has the capacity of a Wedge 100 switch. When fully deployed across the company’s data centers, the Backpack will complete Facebook’s upgrade from a 40Gbps to a 100Gbps infrastructure. Emerging applications like live video and virtual reality will depend on the additional speed, said Jay Parikh, head of engineering and infrastructure at Facebook. Like Facebook’s other switches, the Backpack is based on the homegrown FBOSS operating system and on lessons learned in the creation of the 6-Pack, the company’s first open-hardware modular switch. The Backpack switch has separate data, control and management planes, which allows for spreading out the workload within the switch and building Backpacks in different form factors. Using Facebook’s own software stack helped the Backpack design go from whiteboard to production use in months and lets the company try things like new network protocols. But like AT&T, Facebook depends on an ecosystem of partners to make its networking vision a reality. 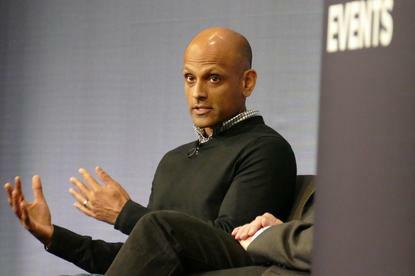 The company’s innovative projects start with small internal teams and rely on larger groups of partner companies such as manufacturers and software vendors to build and test the concepts, Parikh said. The company then contributes the products of those efforts to an even larger community of third parties through open source. It’s already submitted the Backpack design to the Facebook-founded Open Compute Project, which has made the 6-Pack and other switch designs available to enterprises and networking vendors. That move has helped others adopt some of Facebook's networking practices, though there are limits to what an average company can do to emulate them. The method is the same for Facebook’s Telecom Infra Project. The social network won’t commercially deploy its Aquila drone or its Terragraph high-speed wireless technology itself. “We don’t want to be an operator,” Parikh said. Through the telecom project, it hopes to motivate others. “We want to show the community and the world that there are innnovative approaches to solving these challenges and getting people connected faster than ... traditional solutions are on a path to do,” he said. Open-source software is also at the core of AT&T’s years-long migration to a software-defined network. The most important thing the carrier did was break software down into parts so it could reuse open-source components for most standard functions, said John Donovan, chief strategy officer and group president, technology and operations. “Everything that we buy as an appliance from a traditional vendor needs to be blown apart into an atomic structure,” Donovan said. Software-defined networking pays off for subscribers in the ability to order services by themselves, fine-tune things like bandwidth as their needs change, and see the changes made within minutes, Donovan said. The migration entailed changing things like 42-year-old mainframe applications into software that could run on a modern cloud infrastructure, he said. Since 2009, AT&T has converted about 80 percent of its data-center environment and 30 percent of its wide-area network to a cloud architecture. The hardest part, he said, is changing corporate culture. Engineers who were used to fixing problems by moving wires around had to learn how to do it by finding flaws in code spread out over six virtual machines. AT&T’s answer was millions of small “re-skilling” courses that he said have helped employees move from disappearing roles into things like coding.